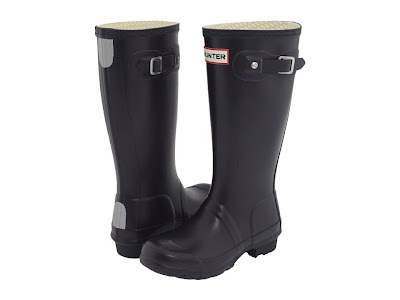 I've always wanted a pair of Hunter's, but was never willing to shell out $125 for rain boots. After waiting and waiting for the Aubergine color to come back in stock in the kid's section I finally scored the last pair on Zappos today. 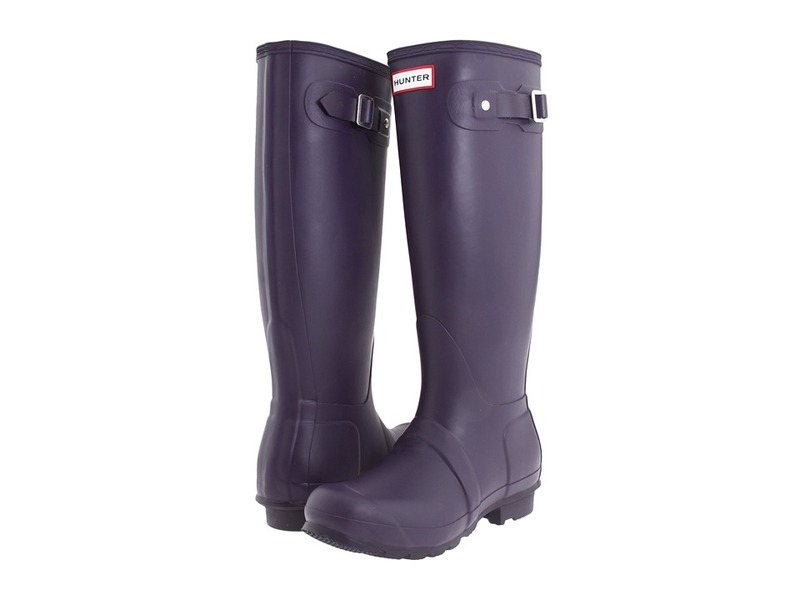 They look almost identical and are $50 cheaper than the women's version! They're still not exactly a bargain, but with free shipping and returns I figured it can't hurt to try them out. They're slightly shorter than the women's version of this shoe, but at 5' 5" I'm not too worried about the 4 inch difference to be willing to pay $50 more. I really, really hope they work! I always order my running shoes and Ugg's in kid's sizes, so the only thing that would be an issue with these is the height.